I have a 11 year old boy. He was found to have Low Muscle Tone when he was 2 years old. His writing is very messy and he tires easily so tries to get out of writing. He has been playing the piano since he was 4 years old and I find this is a great form of occupational therapy for him. 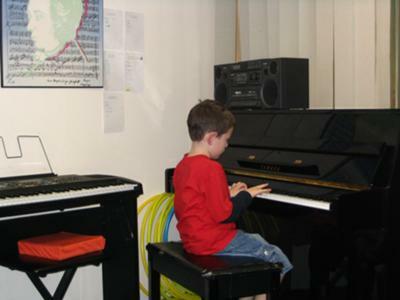 When he was little he really loved going to his group piano and music class. He is now preparing to do his preliminary exam. He also plays clarinet in the school band and has been for 2 years now and can sight read music. I feel music has helped him build up his fine motor skills and he is included in a group(instead of sport). He still loves sport and has a go at it and also goes away for inter school sport. But music is something that he is excelling at.